What Kind Of Garage Door Works For You? If you need a garage door we can install one that complements your home. You can select from a number of materials and choose from a manual or powered door. Would you prefer an automatically opening garage door or a manual version? The choice depends on what you’re comfortable with and what works best for your property. Many people prefer the idea of remote controlled garage doors because of the flexibility they offer. You won’t have to get out of your car to open the door. But others prefer manual versions with traditional locks and keys as an alternative. You also have a choice when it comes to materials—from wood and steel to aluminum and vinyl garage doors. What Happens During Garage Door Installation? 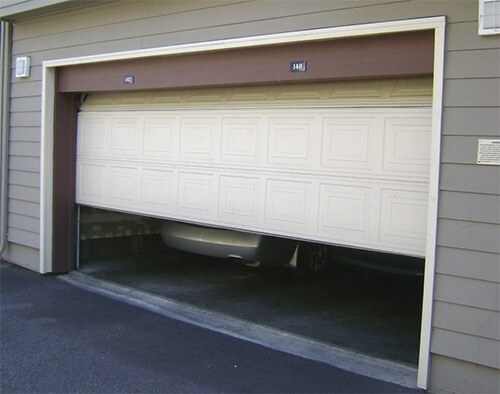 A garage door is usually the largest door in the house, whether automatic or manual. This is not only more difficult than others, but it can often be dangerous for untrained people because of the weight of the door and the intricacies involved during installation. For example, automatic doors require proper fitting on the cables and motors for opening and shutting. Without proper installation and placement, your door won’t function correctly. The number of parts that go into garage door installation also requires professional intervention. From correct photo eye alignment to securing the door opener to seamless wiring to well-placed pulleys, you cannot afford to go wrong. And at the end, the door must balance well against your home. Installing a garage door is no easy feat, which is why you shouldn’t do it yourself if you don’t have the expertise. After all, you don’t want to end up compromising on the security of your home. How To Choose A Garage Door Locking System? Most people take this for granted, but the truth is that the garage door is often the weakest link in your house if you fail to secure it properly. Think about the level of security you want during your garage door installation. You’ll naturally want to ensure a high-quality garage door lock rather than a basic version to protect your home from any security risks. Your garage door installation locksmith can offer you advice and recommendations to help you choose the best locks for your specific requirements. For the safest and quickest installation process, make sure you choose a certified, insured and registered locksmith in your area. Black Hawk has a lock shop catering to Pittsford and Rochester, NY—while offering mobile locksmith services to those in need. You don’t want to compromise on your family’s safety, so leave the job to the experts, and let us install your next garage door.